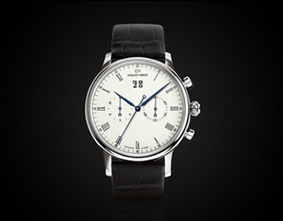 Restoration work by Association Automates et Merveilles reaches its halfway mark under the patronage of Jaquet-Droz. The brand known by its twin stars is sponsoring the restoration of the Pierre Jaquet-Droz pendulum clock, a historic local project carried out by the non-profit Association Automates & Merveilles. 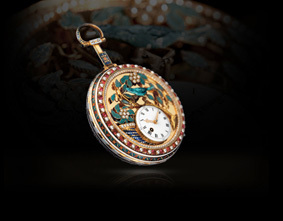 The majestic timepiece, acquired in 1984 by the Watch Museum of Le Locle, is a treasure of Neuchâtel watchmaking heritage. Gifted by Napoleon to a Princess of Württemberg, the singing bird automaton is housed in a cage mounted on a mahogany French cabinet decorated with bronze Empire style motifs. 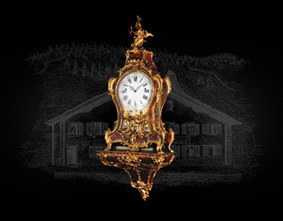 The Watch Museum of Le Locle (MHL) and the International Museum of Horology in La Chaux-de-Fonds (MIH) have joined forces to restore the clock to working order while honing their technical skills and deepening their historical knowledge. Master craftsmen are working together to fully revise the mechanisms and to restore the bird, the cabinet and the gilded appliques. The piece will be presented in 2018 after two years of restoration work. As the second chapter draws to a close, these experts report on the progress to date and share their findings. The grand complication movement at the heart of this priceless piece bears a brass plaque that reads: “Pierre Jaquet-Droz à La Chaux-de-Fonds”. We entirely disassembled the movement for inspection and cleaning. 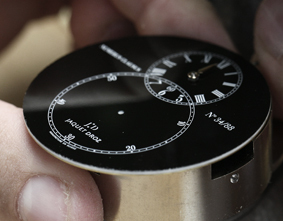 The double fusee, grooves, crown wheel escapement, barrels, drums and other elements of the movement were checked and calibrated. The quadrature of the striking mechanism was also examined for the purposes of calibration. Next, we called on leading experts Gérard Vouga (from MHL), Aurélie Branchini and Masaki Kanasawa (from MIH) to perform the lengthy, painstaking task of reassembling the movement for testing. 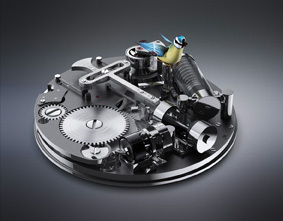 The bird motif has been part of Jaquet-Droz since the brand’s inception. At the height of 18th-century naturalism and Enlightenment, the bird was an object of marvel and fascination. The canary that is perched atop this clock – the bona fide fruit of the labors of Pierre Jaquet-Droz – offers a unique gateway to the history of the brand known by its twin stars. Pierre-André Grimm has refreshed the bird’s plumage while respecting the original feathers. With regards to the wings, a spacing analysis found a lack of mobility in this area, contrary to the restored beak, tail and throat of the bird. 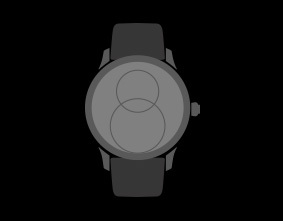 Originally the serin’s glorious song could be heard on demand, or automatically on the hour, in testament to the grand complication inside the timepiece. The six melodies in its repertoire were played by a pin-barrel serinette, a feat of mechanical genius that produced sounds by air intake to its flutes. Prior to the invention of the serinette, ladies would have trained this ancestor of the canary to sing. The serinette has now been restored thanks to Walter Dahler’s long-term endeavor of measuring, checking and reassembling, and some 75 hours of studying the movement. 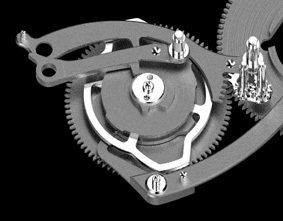 The Watchmaking unit at the CIFOM training center, under the supervision of Sylvain Varone, was tasked with creating identical reproductions of the four-link chains in the motor of the serinette and the clock. 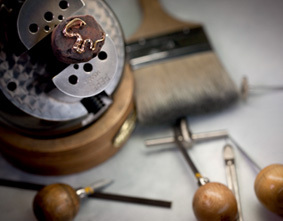 This work involves producing initial cutouts, carrying out strength testing, and testing the metals. To date, the team has produced the stamps and ordered the components for profile-turning, which is the final stage before reassembly. On the exterior of the piece, the gilt-bronze motifs have been restored to their former excellence by Olivier Bauermeister. However new questions have been raised by the conclusion that the giltwork dates from different periods and the exterior has color discrepancies. At this stage our findings support the hypothesis that an intermediate restoration was carried out, adding Restoration-style elements to the typical Empire-style bronze motifs of sphinx, victories, Egyptian heads, beaded chains and lyres. This theory was confirmed by an analysis of the cabinet, the great enigma in this art history research project. Since we first needed to date the cabinet more precisely, dendrochronologist Patrick Gassmann analyzed the growth rings on the locally sourced wood inside the cabinet. 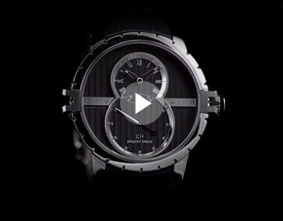 He concluded that the cabinet was indeed constructed in the first period of Pierre Jaquet-Droz’s business. However, the holes and tiny nails dotted around it remained a mystery: why was the clock wrapped in two casings? The beginnings of an answer were provided by the medical imaging center through X-rays that showed the presence of metal tips, contrasting additions, and three layers of wood. These obvious inconsistencies were confirmed by cabinet maker Christian Schouwey, who found that the pegs were poorly made, the screws and solid mahogany bars had been added at a later date, the veneers were of varying thicknesses, and certain elements had been trimmed. The conclusion was clear: while the base of the movement and the first casing do indeed date from the time of Pierre Jaquet-Droz, the second veneer was added by a skillful antiquarian in the late 19th century! Far from leaving the movement to languish in a cupboard, he capitalized on his find – realizing that both the Jaquet-Droz brand and the Egyptian-influenced cabinet were a safe bet – and crowned the clock with an imperial legend. What was at the time a strikingly coherent reproduction now serves as a valuable testimony of the renown and perspicacity of Pierre Jaquet-Droz. Under the patronage of Jaquet Droz, this long-term restoration project has shed light on an essential page in the brand's story and in the history of watchmaking. In bridging past and present, Jaquet Droz confirms its investment in training the craftsmen of the future and in safeguarding its local heritage. The unanswered questions of the mysterious holes in the cabinet, and the feathers used for the original bird, prove that three centuries on, Jaquet-Droz pieces continue to fascinate watchmaking connoisseurs through their technical achievements and emotional appeal.